Mechanical Services Fort Lauderdale | CSI International, Inc.
CSI International, Inc., since our start in 1989, has been a customer focused, quality driven company. CSI’s Quality Plan as its base a management practice and a set of directions that are coordinated to all departments and levels of the company to insure that we continually meet, if not exceed our customers’ needs. CSI’s upper management team has committed to organize its service strategy and operations around our customers’ needs, and to develop and sustain a culture with maximum employee envolvement. Quality for CSI is a state of constant betterment, not just an observation plan. It means supervision and management must relay a set directive of Mechanical Services every employee comprehends and has faith in. To meet this challenge CSI has developed the position of Director of Corporate Quality and Training for the purposes of managing our QA Program and to focus on the quality process throughout all aspects of our business. The position reports directly to the Chief Operating Officer and pays great attention to the implementation and adherence to our high standards for evaluating job performance, implementing training programs and identifying and surpassing our client’s expectations. The outcome is the achieving of service excellence for the client. CSI deploys several standard validation tools to ensure that we are consistently delivering the Mechanical Services promised with the best quality. Green Cleaning is described as “Cleaning to protect health without harming the environment” - Executive Order 13101. 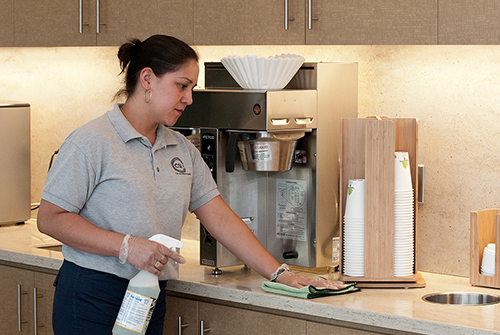 CSI International, Inc. is devoted to providing a clean and healthy place of employment for all our staff and yours. In 1992, former President Bill Clinton issued this presidential Executive Order 13101 which required the use of green cleaning products by building managers of more than 100,000 federally owned or operated buildings worldwide. Executive Order 13101 also defined green cleaning for the first time, stating that green cleaning is the “use of products and services that reduce the health and environmental impacts compared to similar products and services used for the same purpose.” Green cleaning now stands for the best use of products that diminish indoor pollution while reducing environmental pollution and favor sustainable materials. Maintenance of a healthy environment is the shared job of supervisors and staff at all levels of the CSI company. All staff is trained and held accountable to achieve the goal of eliminating the exterior’s role on the local territory and to highlight and practice environmentally safe, low impact cleaning chemicals and procedures. CSI comprehends that the concept of stewardship-- "the obligation for handling, performing or monitoring the quality, state or condition of a business or institutional building"- is important to the green cleaning point of view and important to the success of our green cleansing program. CSI is dedicated to follow a set of stewardship principles that have actually been established by leaders of the green cleansing movement. These concepts will assist in our efforts to be great stewards of the buildings we service, their residents, our staff members, and the overall environment. Clean for health first and look 2nd, Lessen human direct exposure to pollutants and cleaning items, Acknowledge cleaning as an environmental health benefit, Dedicate to occupational advancement of cleansing personnel, Communicate the worth of healthy structures, Lessen moisture, chemical and particle residue when cleansing, Ensure employee and resident safety, Contain and lower all toxins going into the structure, Dispose of cleansing items in ecologically safe ways, Establish and record routine maintenance schedules.